This is a round Jorgensen Steel porcelain sign. This particular Jorgensen Steel sign is predominantly light blue. It features the back of a flatbed truck carrying various steel beams and poles. 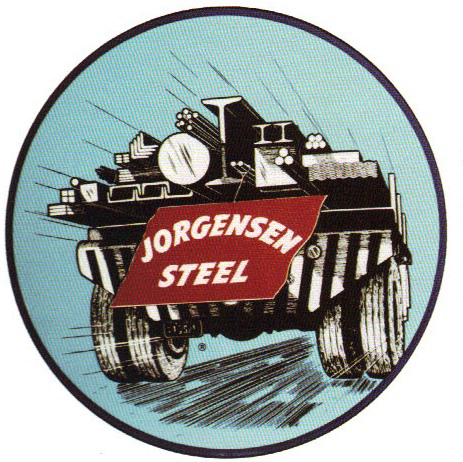 A red banner in the center reads, “Jorgensen Steel”.